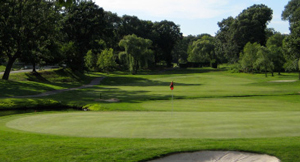 Hampshire Country Club's golf course was created by acclaimed golf course architect Devereux Emmet, and subsequently updated over the years by renowned architects Ed Ault, Frank Duane, and Stephen Kay. The18-hole layout is a true test for golfers of any ability; each hole proving distinctive, and challenging for golfers at all skill levels. Hampshire golfers enjoy a short game practice area, which includes putting and chipping greens and instruction by PGA professionals. What better way to improve your game, than with the help of our private and group instruction that is tailored to your specific needs. Our golf events offer a variety of competitive and social options for men, women, juniors and couples. 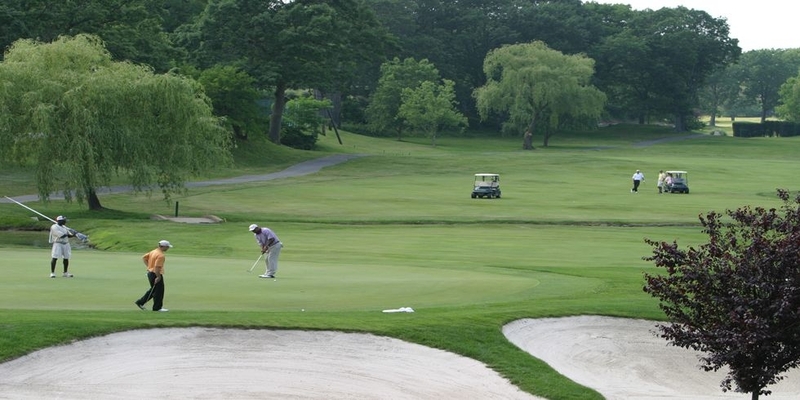 Go Hampshire Country Club's 18-hole golf course is among Westchester County's favorite private club layouts. Read below our Golf Professional's hole descriptions and playing tips to best enjoy your next round at Hampshire! The Hampshire Golf Pro Shop offers Members an attractive, spacious store with handsome displays of golf equipment, apparel and accessories, as well as friendly and helpful service to meet all your golfing wants and needs. Whether you like a more conservative feel in apparel or favor the latest trends and newest micro-fibers, we can help you achieve the look, style and equipment that you want by offering the best name brands in golf. 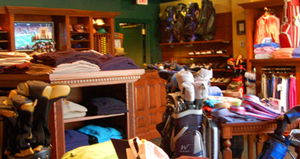 The professional staff at Hampshire also offers club repair and personalized fitting services. Clubs, shoes, and balls specially fitted to your game, swing and body type will make a major change in your golfing score, and our staff is more than happy to help you find the best variety for you.